APR Applied Pharma Research (APR) and Angelini enter into an exclusive licensing agreement for APR’s innovative product in acute and chronic wound management. Angelini and APR announced today that they have entered into a strategic partnership to support and promote a novel and innovative product developed by APR for the management of a variety of wound conditions such as acute wounds, burns and advanced ulcers including venous and pressure ulcers and diabetic foot ulcers. The product, characterized by acidic and super-oxidizing features in an easy-to-use formulation, acts by improving the functional conditions of the physiological wound healing process, providing the healthcare professional and the patient with an effective, convenient and patient-friendly treatment option. The product has been developed based on APRs proprietary technology TEHCLO®, enabling the production of acidic and super-oxidizing solutions containing free chlorine species, of which stabilized hypochlorous acid in very high concentration (> 95%). APR was recently granted the European approval of the product under the name of Nexodyn®. Angelini is planning to launch it under the brand name Amuphase® to hit the advanced wound care Italian market. Our intention is to strengthen our position in the Wound Care therapeutic Area through the offer of new, modern and affordable solutions to healthcare professionals and patients, able to manage life-threating pathologies like diabetic foot and leg venous ulcers.. says Fabio De Luca, General Manager of Angelini Pharma Division, ..and for this reason we are collaborating with APR to enlarge our portfolio launching AMUPHASE, a product that, we are sure, will ensure depth and ethical image to our hospital portfolio. APR is an independent, international and integrated Healthcare Company headquartered in Switzerland and focused on three major areas: Delivering, Funding and Supporting Innovation in Healthcare. 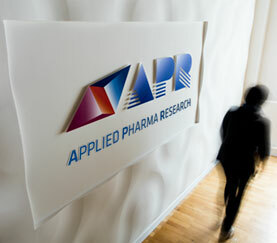 In particular, APR develops and licenses innovative, value added and patented healthcare products and proprietary drug delivery systems primarily in the oral and topical fields; APR also invests in companies or early stage innovative projects and provides a balanced mix of equity funding and/or financing together with APRs development, scientific, technical, marketing, licensing and management skills and know how; finally, APR supports biotech and pharmaceutical companies in the development of new pharmaceutical projects by providing on a contract basis added value, consultancy and R&D services under contract using a General Contractor approach. 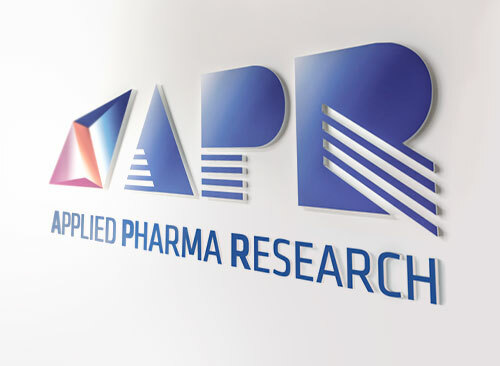 APR has entered into licensing and partnership agreements with pharmaceutical companies in over 100 countries worldwide with international sales on a worldwide basis. Angelini, a privately owned International group, is leader in the healthcare and wellbeing market in the pharmaceutical and mass-market sectors. Founded in Italy in 1919, the group has branches in 20 countries and employs about 3.800 people. 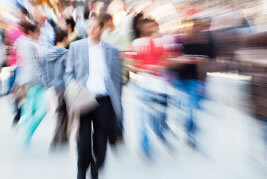 In 2012 the consolidated turnover was over 1.350 billion Euros. In the Pharmaceutical sector Angelini has branches in Italy, Spain, Austria, Portugal, Poland, Czech Republic, Slovak Republic, Hungary, Romania, Bulgaria, Slovenia, Croatia, Greece, Turkey, Usa, Pakistan and India; its products are distributed worldwide in over 60 countries. At an international level, the company focuses mainly on pain relief, inflammation, CNS, cold & flu, oral care & sore throat, gynaecology, disinfection. 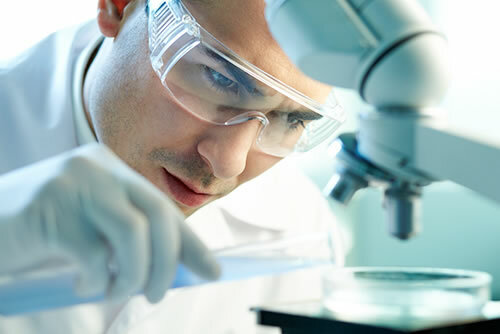 R&D department is currently focused on the following research areas: pain/inflammation; CNS; infection. Angelini is one of the top four pharmaceutical companies in Italy by sales and volume and leader in self-medication sector thanks to brands like Tachipirina, Moment, Tantum Verde and Amuchina. In the Personal Care sector, Fater, joint venture between Angelini and Procter & Gamble, is Italian market leader in the nappy, lady napkins and incontinence sectors with the brands Pampers, Lines, Linidor and Dignity. In the Machinery sector, Fameccanica, joint-venture with Procter & Gamble, is world leader in the design and implementation of integrated production lines for the absorbent sanitary product industry. Angelini also operates in the following sectors: real estate (Italy and Spain), perfumery (Idesa in Spain, ITF in Italy and Germany) and wine growing and agriculture (Tenimenti Angelini in Italy). ← APR announce his Legal Counsellor Roberto Aldovini extraordinary accomplishment: the completion as 1st of his category and Record Breaking of the Iditasport race at Anchorage, Alaska. 200 miles by foot run in about 67 hours.